Are you, like all of us, in a fall dinner rut? 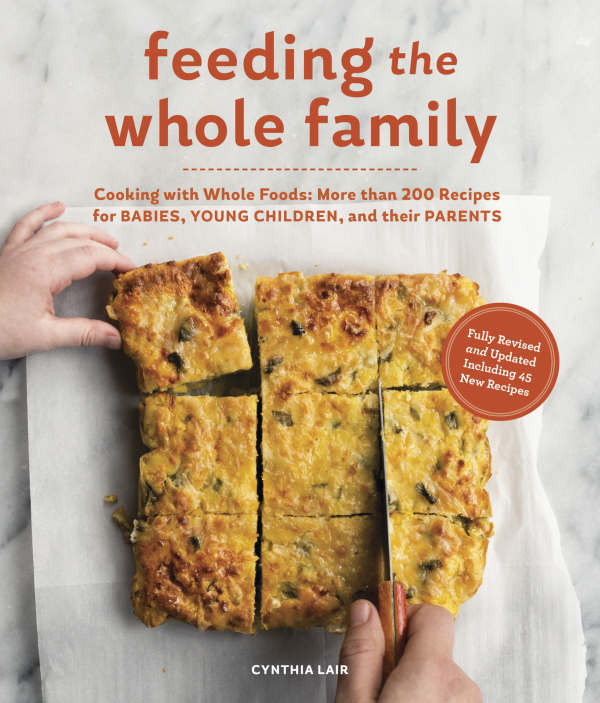 This giveaway is your answer: Win one copy of the new fourth edition of Cynthia Lair's classic cookbook, Feeding the Whole Family: Recipes for Babies, Young Children and Their Parents. This giveaway ran in November 2016. Lair's cookbook has been a go-to for families for nearly 15 years. This new edition includes more than 200 recipes (with 45 new) that "teach the basics of understanding a balanced whole-foods diet, from grains and beans to meat, dairy, fruits and vegetables." In each recipe Lair offers instructions on how to adapt meals for babies. Illustrated with gorgeous photographs throughout, this cookbook is destined to be a Northwest family staple. To enter to win, please provide your email address and ZIP code in the fields below. This giveaway ends at Nov. 15, 2016, at midnight. ParentMap’s ultra-benevolent Giveaway Queen will contact the lucky winner soon after the giveaway ends. Feeding the Whole Family series! ParentMap is running a series of excerpts from Feeding the Whole Family; read the first here!